The National Self Build & Renovation Centre (NSBRC) is sponsoring Swindon Town FC’s new House. 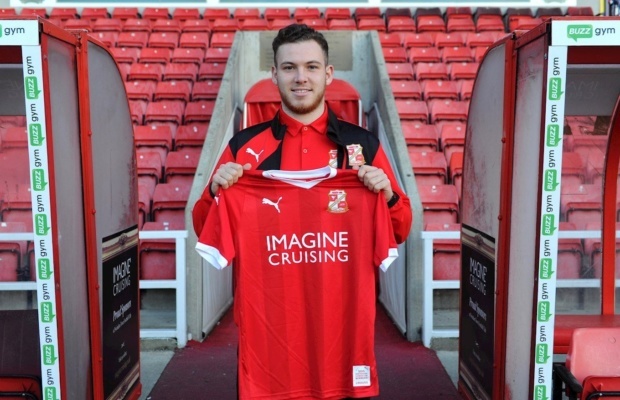 The club’s newest recruit, Ben House, has joined Swindon on loan until the end of the season from neighbours Reading FC, where he scored 11 goals for the U23s team. The NSBRC, based at Lydiard Fields, Great Western Way, was named as a new Swindon Town Gold Business Partner at the beginning of the season. Harvey Fremlin, managing director of the NSBRC, said: “We are very happy to support our home team and when a player named ‘House’ joined the squad we couldn’t not take up the opportunity to extend our partnership – as creating great housing is what we’re all about! The NSBRC team will be at the Energy Check County Ground on Saturday, January 12, before the home fixture against Lincoln City, promoting their National Self Build & Renovation Show, which will be held at the NSBRC from January 25 to 27.